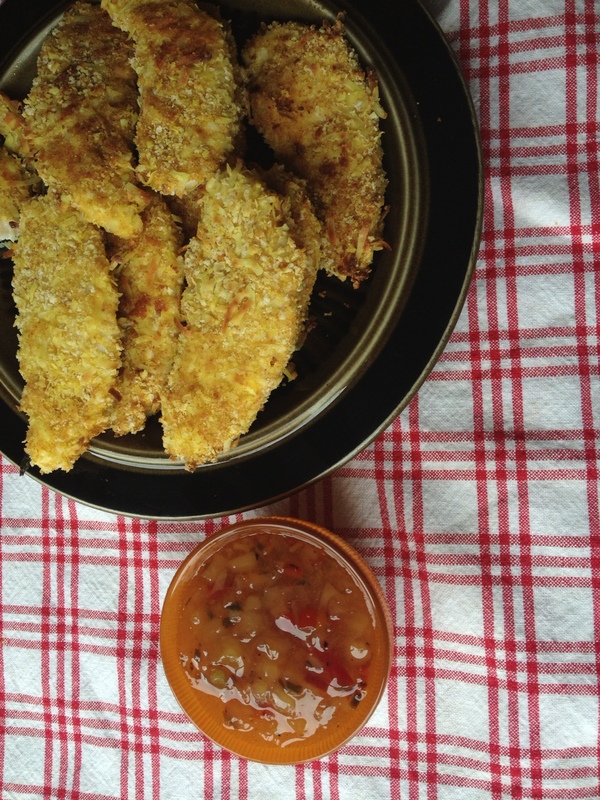 A good take on homemade chicken fingers…a nice play on coconut shrimp, if you will. 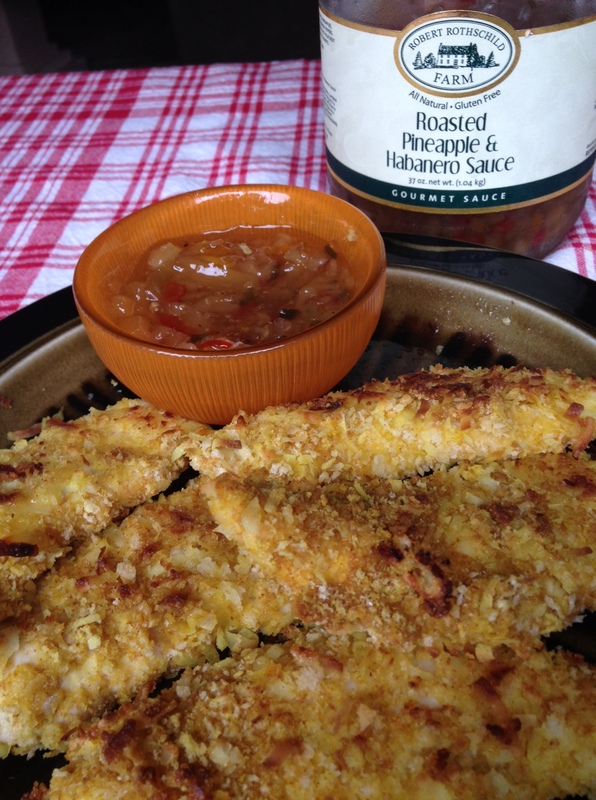 I used Pineapple Salsa from Costco that paired with these really well. Sweet Chili Sauce would also go great with the finished product. 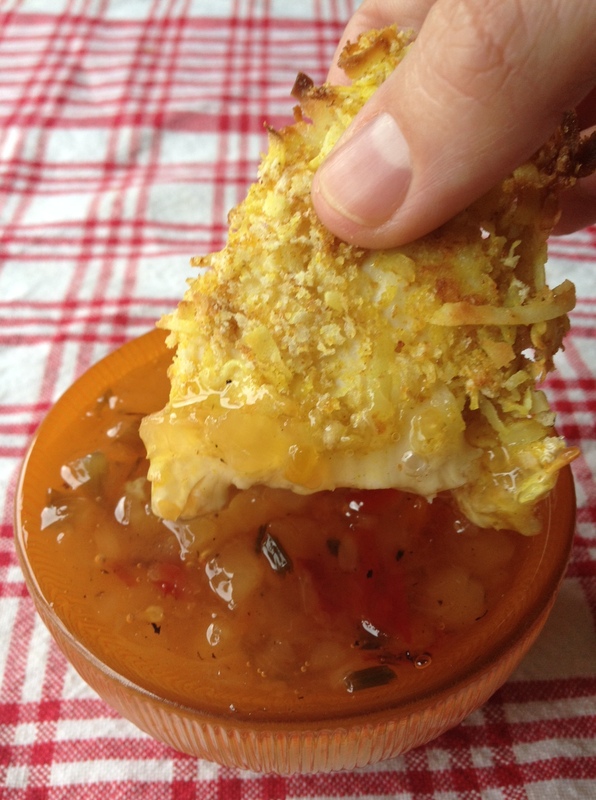 Combine the coconut, breadcrumbs, flour, brown sugar, and curry powder on a piece of wax paper. Sprinkle the tenders with the salt. Beat the egg whites in a large bowl until frothy; add the chicken tenders and toss to coat. 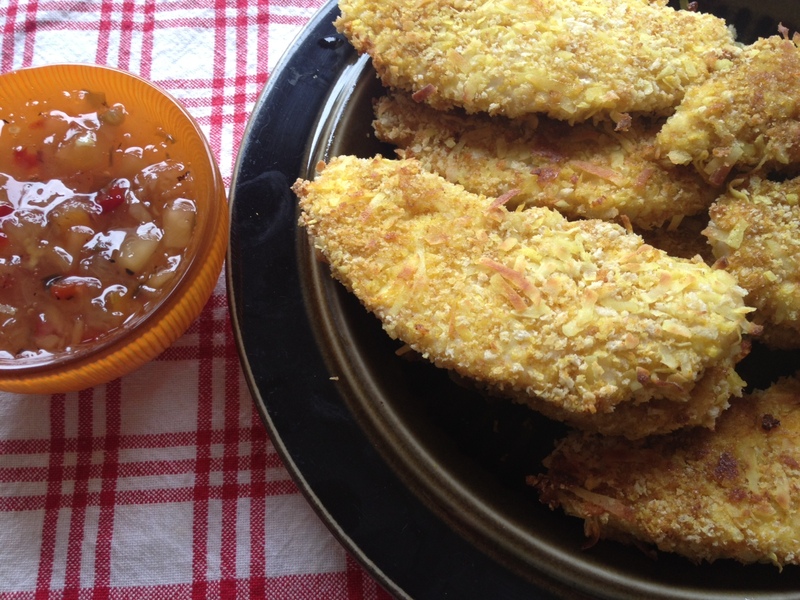 Lift the chicken from the egg whites one at a time, and coat with the coconut mixture, pressing so the coating adheres. Place the chicken in a single layer on the baking sheet. Spray both sides of the chicken with nonstick spray. Bake until lightly golden and crisp, about 15 minutes, turning once halfway through cooking time.